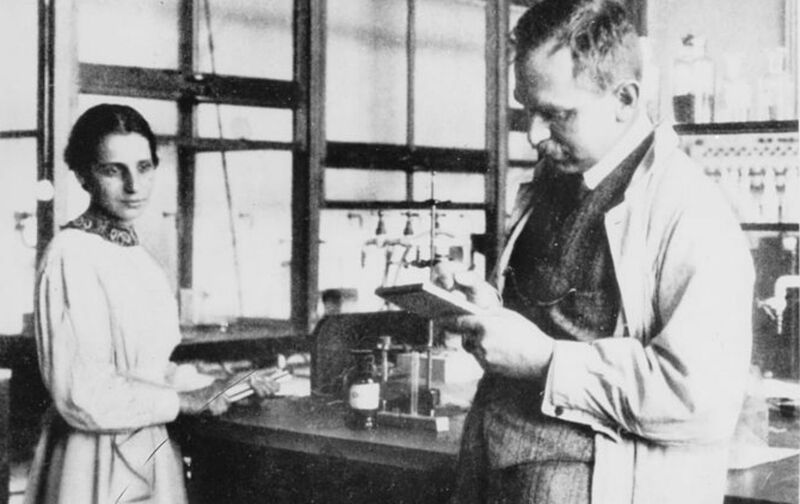 On this day in 1938 Otto Hahn discovered the nuclear fission, the process by which the nucleus of an atom is broken apart to produce enormous amounts of energy. In 1944 The Nation published an article by the Canadian chemist Orlando Aloysius Battista, “Atoms at Work,” explaining some of the fascinating new developments in the field of nuclear physics. Hahn became an outspoken opponent of the use of nuclear fission for the purpose of creating catastrophically deadly weapons. During the past decade or two scientists have literally exploded the atom and in so doing have brought to light many phenomenal universes never dreamed of before. By a rather simple calculation, if you know how to make it, it can be shown that the air which occupies the finger space in a thimble contains at least thirty billion molecules. If all the clocks in the world were kept wound up, it would take them a hundred centuries or more to tick out the number of atoms in a single drop of rain water. If you were able to count the atoms on the surface of a speck of dust which could be seen only under a microscope, you would find they numbered millions. So when we talk about atoms we are talking about infinitesimally small particles of matter, particles so small that man will never be able to see them no matter how powerful he may build his microscopes. The atom also offers us unlimited stores of energy. Physicists have authoritatively proclaimed that there is enough useful energy locked up in a jug of water to furnish more than a billion kilowatt-hours of electric power. The extraction of energy from the atom has up to now been accomplished only in a very small way. The difficulties to be overcome in this field of atomic utility are far more obstinate than those encountered in adapting radioactive substances for use in medicine, biochemistry, or genetics. Nevertheless, there is definite promise that some day it will be possible to extract and control atomic energy. Thus the remarkable work of atomic scientists is benefiting mankind in a thousand ways, and the inspiring fact is that this work has only begun.